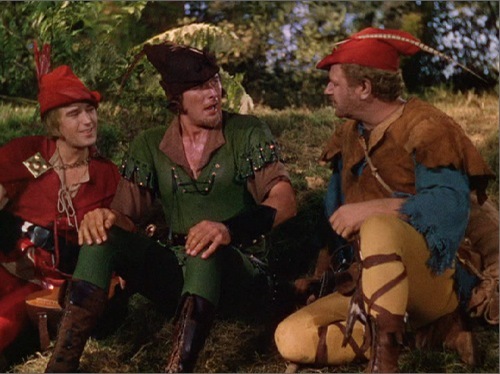 robin hood and his merry men. ooh. Spending all that time picking olives allowed me to think about all kinds of things and for some reason I couldn’t get Robin Hood out of my mind. Don’t ask me why. It must have been all those hours stuck up a tree. It’s surely all over in the US Presidential race, isn’t it? I cannot see anything other than a big Barack win. I don’t think Biden’s been a great choice as running mate but he must be thanking his lucky stars he hasn’t got failin’ Palin as his VP choice. Everything she does heaps further problems on the McCain shoulders. It shows that McCain’s judgement isn’t good – he went for the easy appeal of Palin’s photogenic attractiveness, bright personality and youthful feminity but it’s backfired big-time. She’s issues-prone, baggage-laden, easily parodied, inexperienced, lacking depth and gravitas, overly image-conscious and liable to make appalling gaffes. Apart from that I think she’s great. Fancy an anagram derived from ‘McCain and Palin’ – manic panic land! It’s a year today since C’s mum Isobel passed away. It doesn’t seem that long to be honest though much has happened to us during that time. I wrote about my fondness and respect for Izzy back then so won’t repeat myself. But C has been a little reflective this morning, understandably, and she’s gone off to spend a little time on her own. I know she misses her mum enormously still and I’m suddenly conscious that I haven’t called my folks for a few weeks now. Yep I can be a crap son too, not deliberately, but I really could try and be a bit more thoughtful at times. News reaches me that the BBC have only gone and scraped the absolute dregs from the bottom of the Saturday night light entertainment barrel by commissioning old rubber face Lord Andrew LLoyd Webber to write next year’s UK entry for the Eurovision song contest. Of course there’s more to it, sadly, as the Beeb will turn this into yet another prime time programme entitled Your Country Needs You starring all the usual camp followers as they hunt for the next big talent, who will then go on to perform the Webber song at the event. It makes me happy to be a thousand miles away.